The best basketball training routines combine conditioning, endurance and coordination exercises because you need to have all three in order to become a great player. The key to developing a training program that will take your team from good to amazing is choosing exercises that are going to test the skills you need to use out on the basketball court. Besides using effective physical exercises, you need to improve your mental abilities. While sports appear to be mostly physical, they require a lot of mental focus and determination. Ultimately, combining both physical and psychological training is the best way to get the results you are looking for. 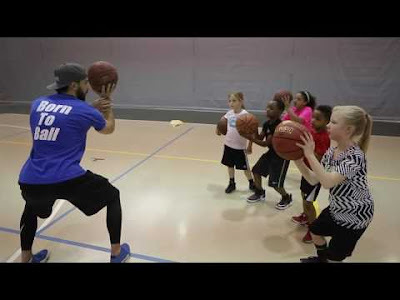 And all these things can only be possible with proper guidance; Larry Hughes Basketball Academy is the right choice to select the private basketball coaches in Missouri. The science behind creating effective basketball drills is breaking them down into different sets of exercises that are specifically used for improving the type of skills players use out on the court. A professional basketball coach knows all the ins and outs of the game, they teach you strong tactics on how to make your effective. For example- a part of your training routine needs to focus on improving your defense abilities, a highly-skilled coach will know your weakness or strength and tried to teach you how to tackle the situation according to your plus point. Always remember that defense is all about control, so you want to get your balance right and avoid stumbling when your partner makes an unexpected move. Besides working on your defense skills, your basketball training routine should include exercises that improve agility, speed, rebounding, ball handling and balance. You also need to practice your offensive skills so you can learn how to take charge on the court quickly and how to stay in control of the game. There are many types of different basketball drills you can use, so it helps to use a guidebook that shows you the proper positions and how to perform each exercise correctly. Larry Hughes Basketball Academy also made Youth Basketball Teams St Louis, MO so that they can spruce up all the players’ skills efficiently. Use the same workout plan until you start to see results, but make sure that it matches your experience level as a player. There is nothing more discouraging than trying to do complex drills that are really meant for advanced players as a beginner. If your skills aren't great right now, hire a reliable private basketball coach from Larry Hughes Academy in Missouri and see the significant results. In general, if you want to become a great player, always keep your basketball training in mind that your coach thought you, even when you are playing against another team. Whether you end up winning or not, use every game as an opportunity to improve your own performance and skill set. Learn how to read your opponents and how you need to play to be at your best as a team. When possible, film your games, so you can watch them later as a team and learn from your mistakes.